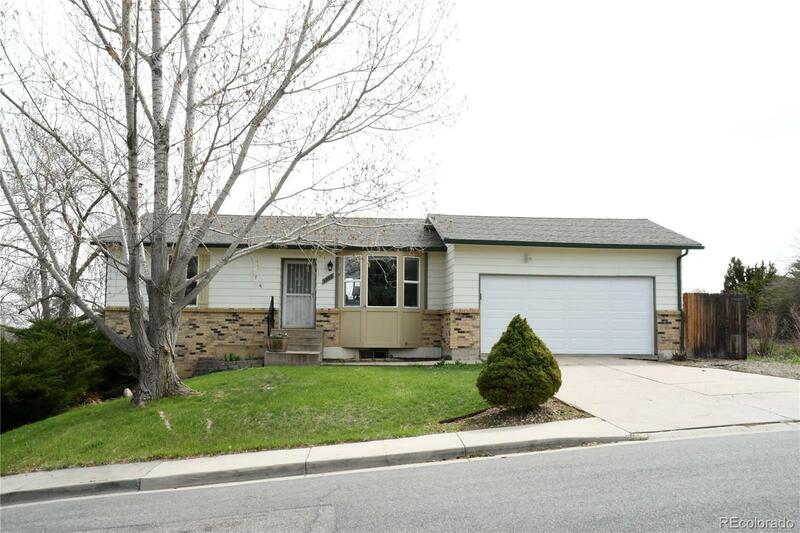 Wonderful ranch home with finished walk out basement located on a spectacular 9000 square foot fenced lot. Modern open floor plan offers abundant light from the living room bay window to the sliding glass door to the kitchen and deck. Kitchen features include stainless appliances with open shelving and space for a rolling bar or island. Designer paints and beautiful new laminate floors and carpet throughout. Enormous family room in walk out basement with fireplace, dog door and sliding glass door to the terrific backyard. Also included spacious non-conforming bedroom, bath and laundry. The inviting large backyard includes a deck, dog run, playhouse and utility shed. The easy layout of this home is perfect for entertaining and easy living. Conveniently located to C-470, US 285 with easy access to Downtown Denver, DTC, the mountains, parks, bike & hiking trails, restaurants and shopping.